How do I master my music for streaming and download services? MASTERING WEEK: Because of the decline in CD sales and the growth of music downloading and streaming services such as iTunes, Spotify and YouTube, the way we consume music has changed dramatically over the last decade or so. As a result, we’re listening to more compressed audio than ever before; however, the majority of the music available on streaming services was produced and mastered before they were even a twinkle in the internet’s eye. Taking this into consideration, does mastering for streaming require a different approach to CD mastering? We’d say that it does; this is due to the basic differences between the two formats. CD audio is lossless, and there are no industry standards regarding the loudness or presentation of the audio. This, alongside the competitive nature of labels, bands and mastering engineers, led to the CD loudness wars of the ‘90s and ‘00s, during which excessive limiting and clipping of masters to reduce the dynamic range of the songs before peak normalisation to 0dB was the norm. In comparison, playlist-based streaming services such as Spotify employ intelligent algorithms to play compressed versions of the tracks at a uniform loudness level, meaning that the loudness of each song at full scale is irrelevant and that previously hyper-compressed CD masters instantly sound squashed and distorted when played alongside more dynamic material. So, if you’re looking to deliver a great master for streaming services there are a few things to consider, including the dynamic range of the finished master and how it’ll sound when played alongside other songs. "Mastering for streaming always needs to account for the playlist format - your track will be heard in succession with hundreds of others, so you need to make sure you stand out,” says Pascal Pilon, CEO of auto mastering portal LANDR. “Streaming services always level out tracks for uniform loudness, so when mastering for streaming the best thing to do is maximize the dynamic range. This lets the music shine with richness and depth, rather than focussing only on loudness”. If you’re looking to deliver a great master for streaming services there are a few things to consider, including the dynamic range of the finished master and how it’ll sound when played alongside other songs. Moving forwards, iZotope’s Jonathan Wyner feels that producers will start to mix with streaming services much more in mind: “Gradually, peak-normalised listening will vanish and producers will instead turn to making their mixes sound perceptibly louder through improved songwriting, arrangement, mixing and mastering, which I think’s kinda cool, as people will have to work hard to make their records sound better”. Bearing all this in mind, it’s best to go easy on the clipping and limiting when mastering for streaming, as it’ll only crush the delicate dynamics of the mix - unless you’re purposely reducing the dynamics heavily for artistic effect. Equally, outputting your masters at around -0.1dBfs peak volume is a big no-no when mastering for streaming: when the song is converted from lossless down to a low-quality 128kb/s compressed stream, distortion will be introduced thanks to unwanted intersample peaks, with added digital overshoots on playback from streaming sites that don’t employ automatic volume matching (such as SoundCloud). So, should we create separate masters for all the different download stores and streaming services - or can we make one master that works well in all scenarios? Whilst specialist scenarios, such as dance music mastering for downloading, might require a 16-bit/44.1khz heavily-limited lossless master similar to CD audio, the best compromise we’ve found is to format your finished masters to Mastered for iTunes (MFIT) spec. Apple created this standard to encourage labels and engineers to submit 24-bit lossless masters with greater dynamic range and some peak headroom left to avoid the inevitable intersample peak distortion and digital overshoots caused when converting hot signals to a compressed format. 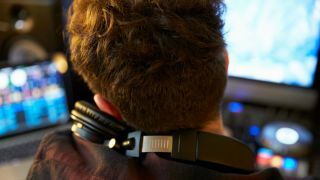 Coincidentally, this standard also happens to be sensible practice when creating masters that translate well to streaming services such as SoundCloud, YouTube and Apple Music, which makes it a good option if you’re looking to create one master that fits all. When creating a master for streaming playback, all of the usual tools you’d use for any other mastering job such as EQ/dynamics processing and accurate peak, RMS & LUFS meters will be just as relevant, but there’s also an extra plugin that can be useful; a real time lossy codec converter. If you’re running a Mac and want to check if your masters will sound good when compressed, Apple provides a free set of Mastered for iTunes Tools that includes an Audio Unit called RoundTripAAC. This lets you audition your DAW's output in 128kbps AAC format on the fly, with a useful clipping indicator that is a great guide for getting your peak levels in check to avoid distortion later on. Another alternative is NUGEN Audio’s MasterCheck Pro (pictured above), a multi-faceted plugin that will reveal how your music will sound on all of the major streaming and download services, bringing potential problems to your attention before it’s too late to solve them.